Location and quality are two huge factors for a successful drain field installation for your new Deltona home. As the area around Deltona, Florida continues to grow, there are more homes being built that are beyond municipal water and sewer services. If you are one of the lucky ones to be able to have a well and septic system, and therefore not have to pay a monthly bill for water and sewer service, our professional team here at Clark Septic can take care of the installation for you. Our drain field installation is one of the best in the area, which is what you want for a system that will not only last a lifetime, but also protect our beautiful state’s precious groundwater resources. Proper drain field installation is also important to your water usage if you will have a well providing your family’s water. The last thing you need is your wastewater contaminating your well water, not to mention the soils around your home. 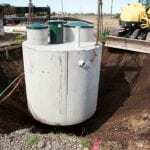 There are two main things to consider during drain field installation. One is selecting the best location for the drain field. It needs to be accessible, of course, but it also needs to be in an area where you won’t be driving over it, putting in concrete or a deck or planting trees or other heavy rooted landscaping anywhere near it. All of these things can seriously damage a drain field, often to the point where repairs are not possible. The other important consideration is proper preparation of the soils and area. Without proper slopes and drainage, your drain field installation won’t be effective and could cause problems for years to come. You can count on our experience with septic system installation to give you the best results that will serve you well for years to come. If you have questions or are ready to get a quote for drain field installation, give us a call, and we’ll check out your build and provide you with the information you need to make a decision on how to proceed. 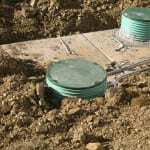 At Clark Septic, we offer high-quality drain field installation services in Orlando, Altamonte Springs, Ocoee, Deltona, Pine Hills, Winter Park, and Winter Springs, Florida.